Click here to read about this event. 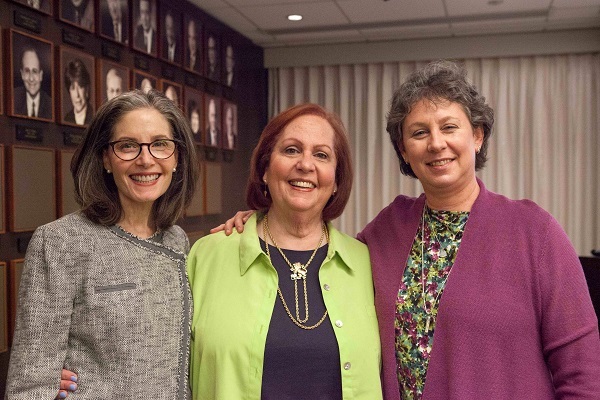 Featuring Gigi Pritzker, president of the Pritzker Pucker Family Foundation; Dr. Sharon Holman, President of the Sinai Urban Health Institute at Mt. Sinai Hospital; Pastor Chris Harris Sr., Founder and CEO of Bright Star Community Outreach and The Urban Resilience Network (TURN) Center; and Teny Gross, Executive Director of the Institute for Nonviolence Chicago. Co-sponsored by the Center for Jewish Philanthropy, JUF's Jewish Community Relations Council, and the Jewish Women's Foundation. 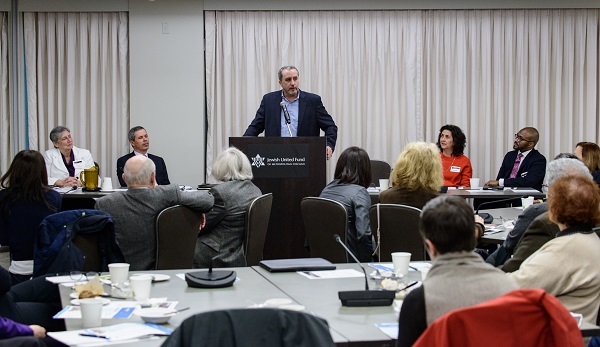 "We hold firm to our Jewish values that teach us we are all responsible for one another," said JUF President Dr. Steven B. Nasatir in his opening remarks. "And we must remember that if any one child is not safe, then none of our children are safe." Click here to read more. What is intersectionality? What is BDS (boycott, divestment, sanctions)? How do these seemingly disparate ideas relate to one another? Watch this presentation to explore the theory of intersectionality, the BDS movement currently taking place on college campuses, how these two ideas overlap in today's culture climate. The Roger Baldwin Foundation of the ACLU, a JWF grantee, works to change the laws that put women's health at risk under the guise of religious freedom. Lorie Chaiten, Director of the Reproductive Rights Project of ACLU, met with JWF's Advocacy Committee to discuss how the ACLU's Reproductive Rights Project works to change the laws and ways you can help end this unjust and dangerous practice. We invite you to watch highlights from her presentation above.